Ideal for securing all styles of hair. Keeps moving gently. Its special formulation fixed without leaving any residue. Ensures fast drying without adding weight. It gives body and hold the hairstyle and determine their movements, without weighing it down. It is ideal for structured hairstyles and decided. The formulation progressive spread allows you to fix the hairstyle in an extremely natural. The new provision distributes the product more quickly, allowing a very fast drying. Ideal for fixing heavy with immediate effect. Donate a prolonged holding hairstyle. 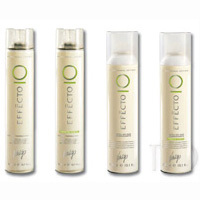 The new provision distributes the product more quickly leaving hair shiny and light. Comes off with a few brush strokes.